Alessandra Ambrosio was photographed wearing Junk Food today in Los Angeles. 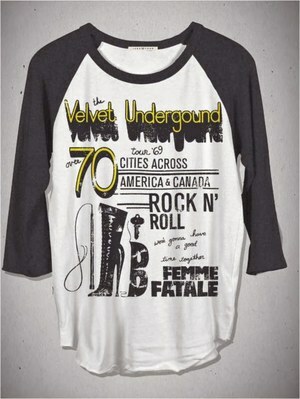 The supermodel looked causal as she ran errands in her Velvet Underground Raglan Tee ($30, www.junkfoodclothing.com). Below is a better look at the actual rock t-shirt. Learn more about super model Alessandra Ambrosia.